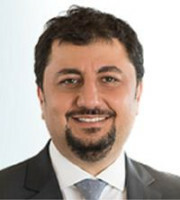 Okan Can counsels and represents market-leading companies in the protection and enforcement of IP rights. His expertise extends to IP litigation, IP strategy, transactional intellectual property, technology licensing, data privacy and publicity rights. a leading multinational firm and achieved the first colour per se trademark in Turkey. By invitation of the Turkish Patent and Trademark Office in 2016, Mr Can participated and actively worked at the commission established for the preparation of the new Turkish IP Code which entered into force on January 10 2017. He also participated in the IP Code discussions before the related commissions of Parliament, before the code was enacted. Resolving IP disputes through the World Intellectual Property Organisation (WIPO) alternative dispute resolution on behalf of WIPO at an international conference in Istanbul, 2017. “New Practice: Mediation in Trademark Oppositions”, International Law Office. Mr Can is listed in IAM 1000, IP Stars, Legal 500 and the WTR 1000 2016-2018, in the gold tier for litigation and enforcement.